I’m steaming right now. My trip back from Istanbul was uneventful — I had no problems with security or using my Global Entry — but ever since my return the TSA has been making my life very unpleasant. Basically, with every flight I’ve taken since I got back, I’ve had “SSSS” on the boarding pass, which means “enhanced” screening, every time. SSSS can ruin your day. Then, I booked a last-minute ticket from Provincetown to Boston this morning that didn’t include my frequent flyer number or any other identifying info other than my name and DOB, and again I got “SSSS.” I got a thorough but manageable search there. Then, when I got to Boston for a connecting flight on AA that was linked to my Executive Platinum account and had my GOES number for TSA Precheck, I had to go through security again after changing terminals. At Logan, the fun started when the boarding pass scanner responded with a red light and a loud beep. The TSA agents then took my boarding pass and ID, and didn’t give it back until after the screening. The agents then searched every single crevice of every item in my bag, removing items one at a time for inspection. Once that was done, they started searching for explosives, which entailed swabbing everything from my medication to my toothbrush. From start to finish the process took 25 minutes. 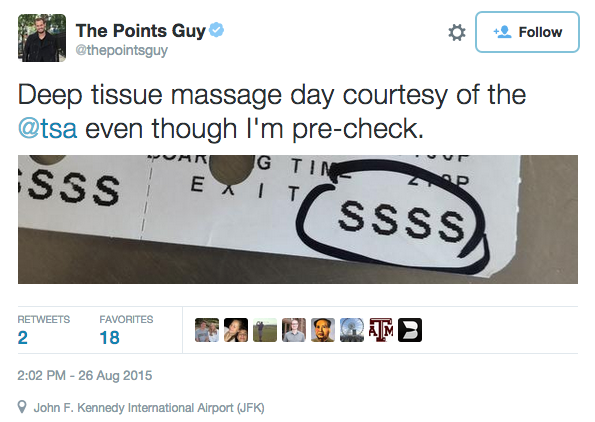 TSA screening is never fun, but things can definitely get worse. While the agents definitely made a show of inspecting my luggage in Boston, I was treated inconsistently at each airport. 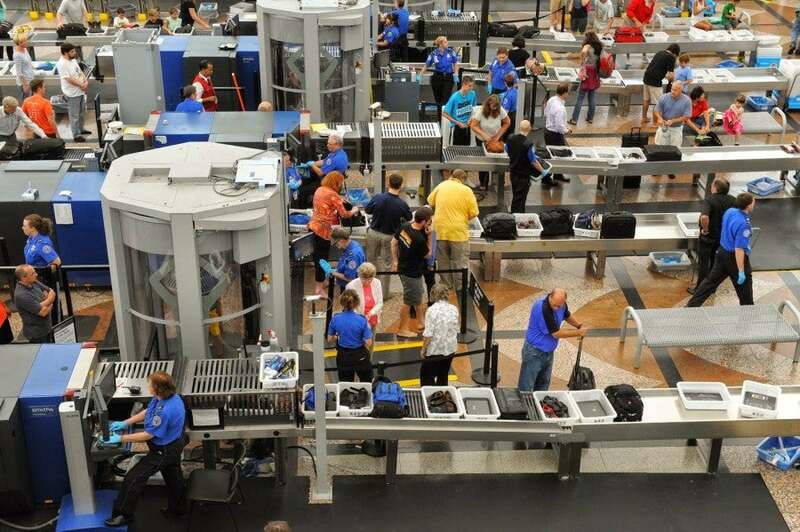 When Department of Homeland Security agents conducted a test last year, attempting to bring banned items through TSA checkpoints, they succeeded 95% of the time. Wasting time on enhanced screening for tourists returning from their vacations in Turkey isn’t an efficient use of resources — instead of harassing me, the TSA should focus on improving its procedures across the board. This is now happening to my ENTIRE group of friends who traveled to Istanbul with me, and other people who have traveled to Turkey have written in to share the same experience. As someone who’s constantly traveling, this is my worst nightmare. I really hope it goes away soon. I did reach out to TSA but a spokesperson just sent along some relatively unhelpful links. I also applied for a redress number, which may help, but if you’re listening, TSA – PleaSSSSe get this fixed! Have you been selected for additional screening after returning from a trip to Turkey?